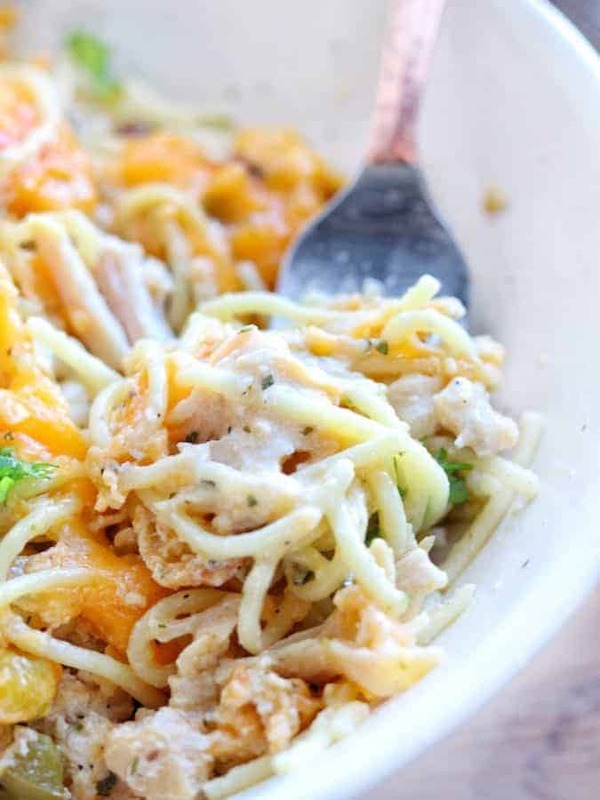 This chicken and pasta recipe is a creamy, cheesy Chicken Spaghetti casserole that’s sure to become a family favorite. 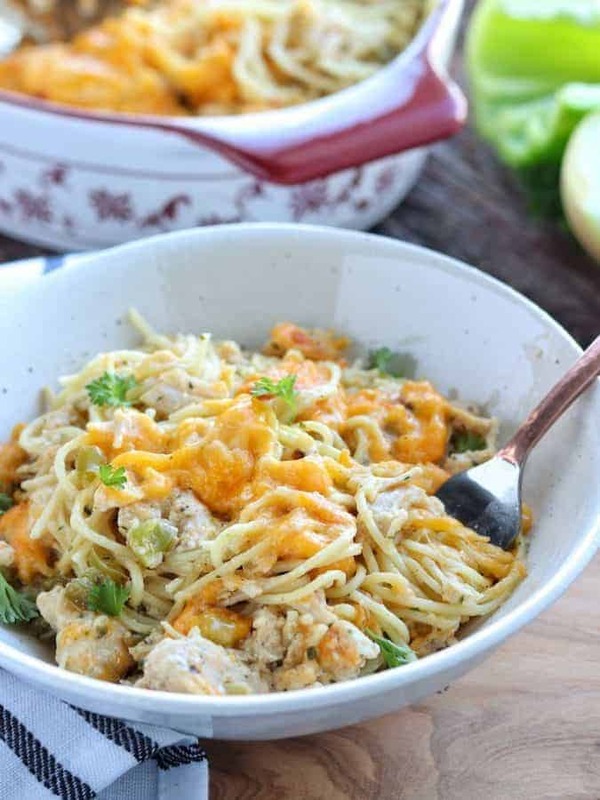 Using canned chicken as a convenient, no-prep source of protein and a packet of dry ranch dressing, this creamy chicken spaghetti bake comes together quickly. This post is brought to you in partnership with Cans Get You Cooking. As always, all opinions are my own. Comfort food doesn’t have to be filled with calories and fat to be cozy and delicious. 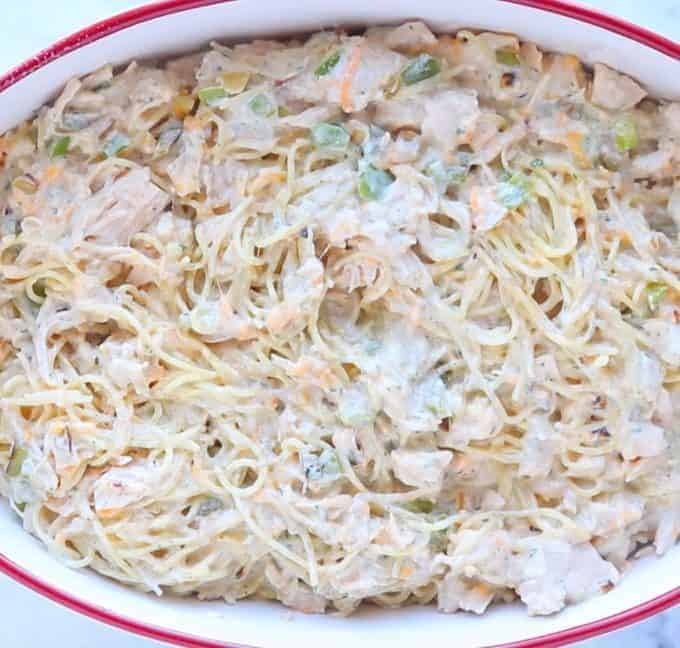 This creamy chicken spaghetti bake is simple to make and kid-friendly. Your family is sure to love it. 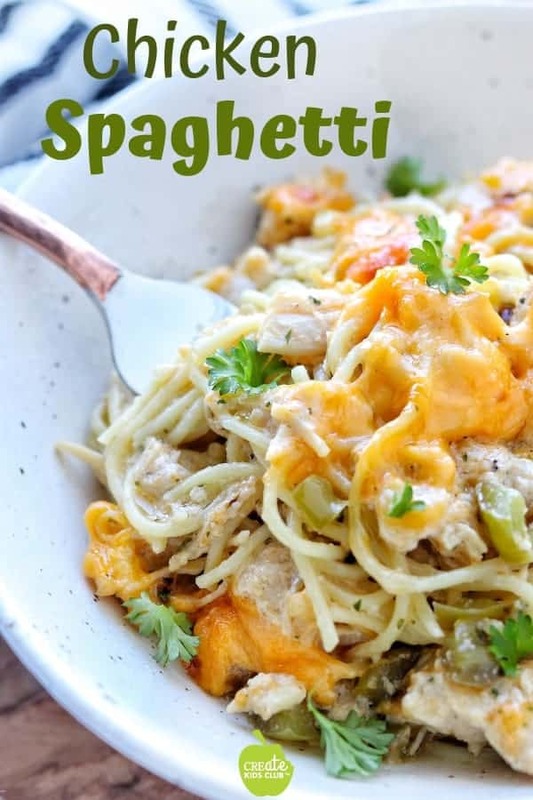 This simple dinner idea showcases how to make a healthy spaghetti casserole with fewer calories & fat compared to a traditional chicken spaghetti recipe which might use cream or Velveeta. This dinner casserole is ready in just 30 minutes with the use of canned foods. Even though there is no reason to be concerned, many parents feel guilty about serving canned foods to their families. I felt this way once as well. However, after spending a weekend in NYC learning about the research on canned foods, my mind was set at ease, as yours will be too. Per the National Health and Nutrition Examination Survey (NHANES), The Research is Clear: Canned Foods Have a Positive Impact on Nutrient Intake. According to a recent NHANES analysis, adults who consume canned foods are more likely to have diets consistent with four popular healthy eating patterns: Mediterranean, American Heart Association, Dietary Approaches to Stop Hypertension (DASH), and a Healthy American Diet (defined by a higher Healthy Eating Index, a measure of diet quality). Pro Tip: Canned foods are nutrient-rich powerhouses that offer unparalleled benefits including the fact that those consumers eating canned foods eat more fiber, vitamins, and minerals as compared to non-canned food consumers. The nutrition profiles of individuals who eat canned foods are better than those who skip the canned food aisle¹. If you’re like me, you desire healthy, quick dinner recipes. I like using canned foods to save time and I like knowing I’m doing good by my family too. 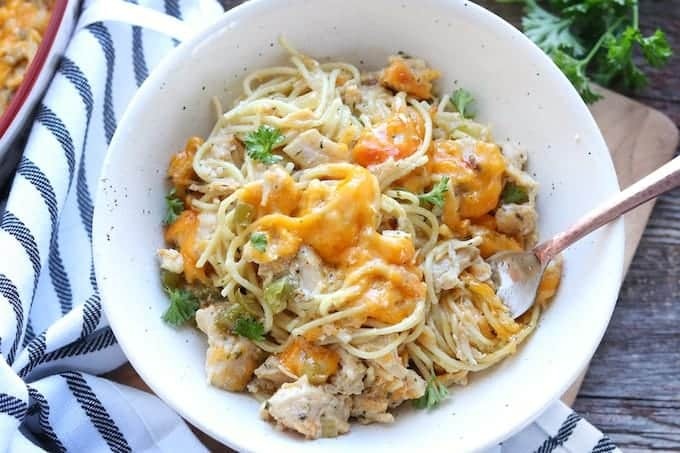 Let’s take a closer look at how this recipe utilizes a canned protein source – canned chicken, saving the time and energy along with helping to make this chicken and pasta dish a 30-minute meal. Keep Reading for step by step instructions or watch the recipe video now! In a large pot, cook pasta for the chicken and pasta recipe per box instructions. Reserve 1/4 cup of the water the pasta is cooked in and set aside. In a medium-sized skillet, saute onion and bell pepper over medium-high heat until onions are translucent. 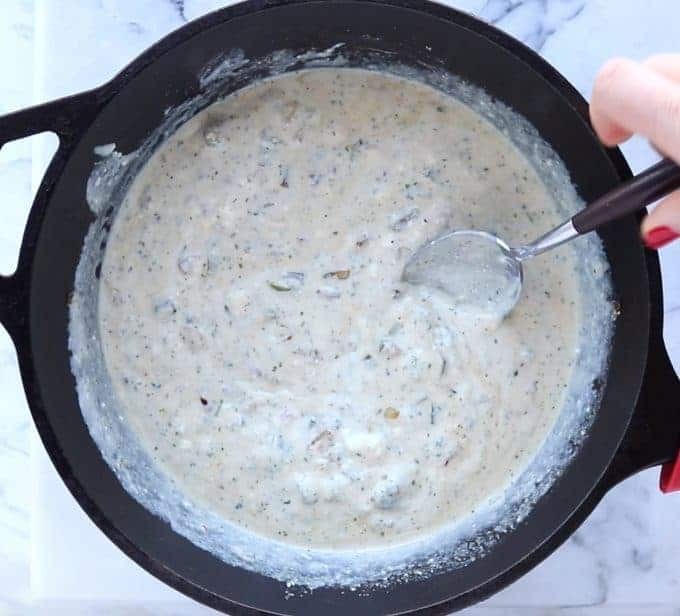 Stir in canned chicken broth, Greek yogurt, and dry ranch dressing packet. Place spaghetti mixture into a baking dish coated with non-stick cooking spray. 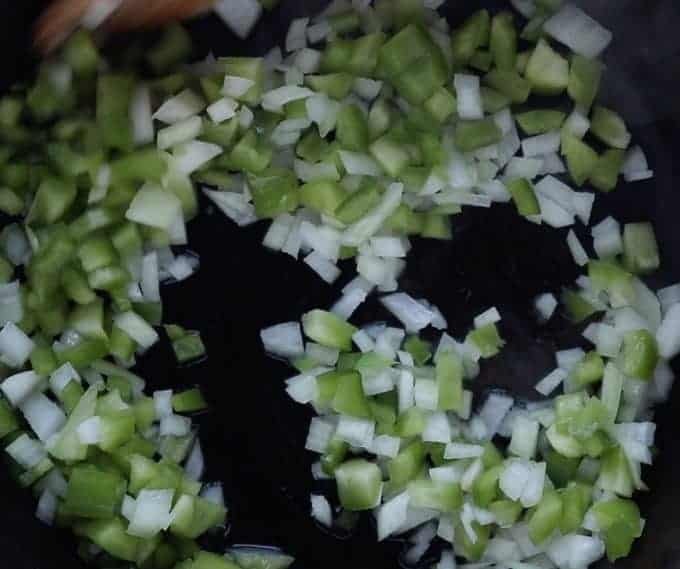 Get started by sautéing the onion and bell pepper over medium-high heat in a medium-sized skillet until onions are translucent. Kitchen Tip: Chop a large onion rather than a small onion. Chop 2 peppers rather than one. Place the extras in separate ziplock bags and freeze for use in later recipes, saving time! After the veggies are softened and browned, turn the heat to low. Kitchen Tip: Reducing the temperature helps prevent the yogurt from curdling. Using full-fat yogurt also helps along with adding the creamy texture to the dish. Add minced garlic and cook 1 minute. Next, stir in the chicken broth, Greek yogurt, and dry ranch dressing packet. Next, stir in the drained canned chicken then the cheese. Using tongs, coat the cooked pasta with the sauce until well blended. Kitchen Tip: Keep canned chicken in your pantry for grab and go meals. Place the spaghetti bake mixture into a baking dish coated with non-stick cooking spray. Bake at 375 degrees for 20 minutes or until cheese is melted and golden brown. Serve with a side salad, Caramelized Butternut Squash, Zucchini Crisps, or Easy Sauteed Apples. Looking for more chicken and pasta recipes? 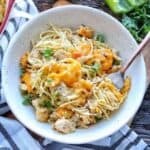 Check out Chicken Sausage Penne Pasta, Fettuccine With Chicken & Lemon-Parsley Pesto, Crockpot Chicken Pasta, Slow Cooker Ragu, Chicken Sausage & Ravioli Dinner, Quinoa Chicken Vegetable Salad, or these 40+ Easy Chicken Pasta Recipes. How about More Healthy Chicken Recipes for Kids? 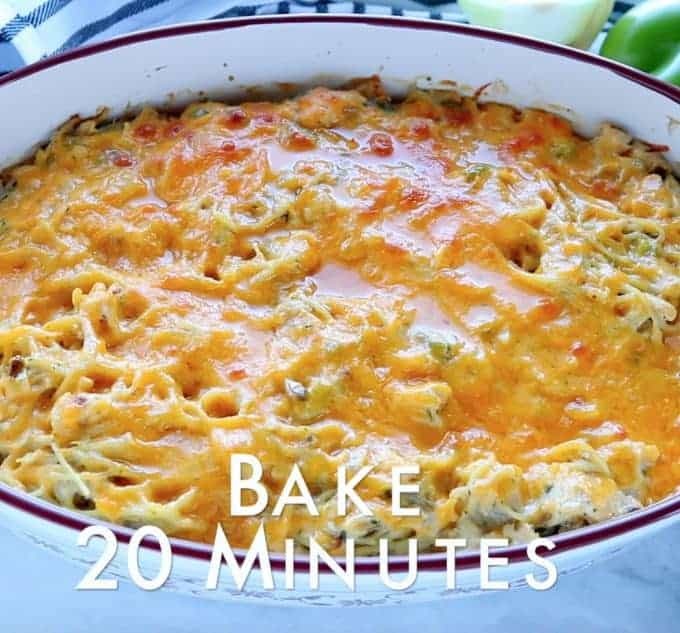 Try Creamy Chicken Enchiladas, Crockpot Mexican Quinoa Chicken Casserole, Baked Chicken Thighs, Chicken Pot Pie, Mediterranean Chicken Pitas, Malaysian Tangy Noodle Salad, or check out all my Chicken Recipes here. 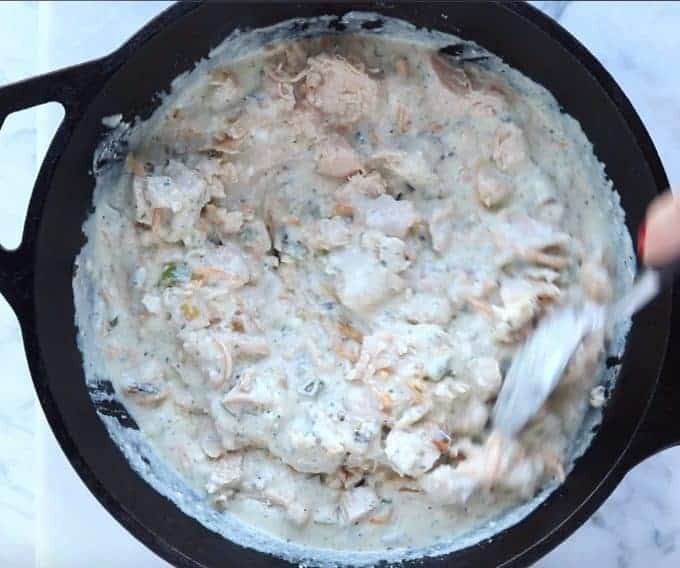 I’m so impressed this beautiful dish uses canned chicken! I have never tried this ingredient before, but I will be trying this recipe with it. Thank you! Great catch, Jody! I updated the recipe to reflect the 1 cup of chicken broth needed. I hope you enjoy the recipe! I definitely wouldn’t have thought of this, it sounds delicious and like a great, easy, kid-friendly meal! I mean, who doesn’t love a pasta bake? 🙂 Perfect for busy nights. Thanks, Monica! My family totally is with you – there is not a pasta dish around they don’t love! I love this! Great idea to use an ingredient that is so easily accessible. Thanks, Sarah! It’s so convenient to keep no-prep protein sources right in the pantry! This would be such a hit at my dinner table! I hope you enjoy, Lindsey! Oh this looks so delicious! what a perfect dish for winter! Great job with the photos! I’d love to make a vegetarian version of this sometime!